THE GARDA OMBUDSMAN Commission (GSOC) is investigating a fatal road collision in Co Louth in which two men died. The crash happened on the R173 near Carlingford just after 12.30am yesterday. The men, named locally as Shane McAnallen and Martin Patterson from Co Down, were pronounced dead at the scene. They were both aged in their 20s. No one else was injured in the single-vehicle collision. Both men were taken to Louth County Hospital in Dundalk for post-mortem examinations. 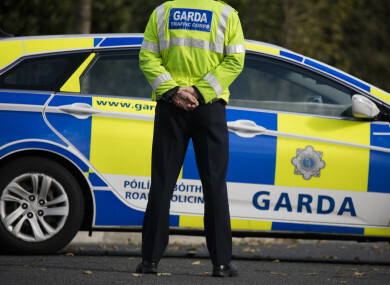 It is believed gardaí had attempted to stop the vehicle prior to the crash. GSOC and An Garda Síochánda have both appealed for witnesses to come forward. A spokesperson said GSOC would particularly like to hear from motorists who may have dashcam footage from the Carlingford or Omeath area between midnight and 1am yesterday. “GSOC is currently investigating the incident and would like to speak to anyone who may have seen a black Lexus with a Northern Ireland registration in the area on the evening of Sunday 17 March or early hours of 18 March,” they said. Potential witnesses and those who have dashcams and were in the area at the time in question have been asked to ring the GSOC witness appeal line on 1890 600 800. People can also contact Carlingford Garda Station on 042 937 3102, the Garda Confidential Telephone Line on 1800 666 111 or any garda station. Email “GSOC investigating car crash in which two men died in Louth ”. Feedback on “GSOC investigating car crash in which two men died in Louth ”.